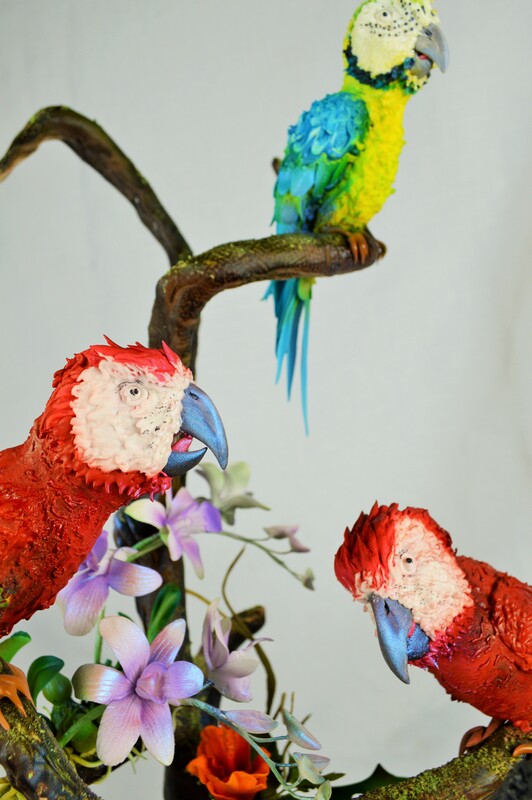 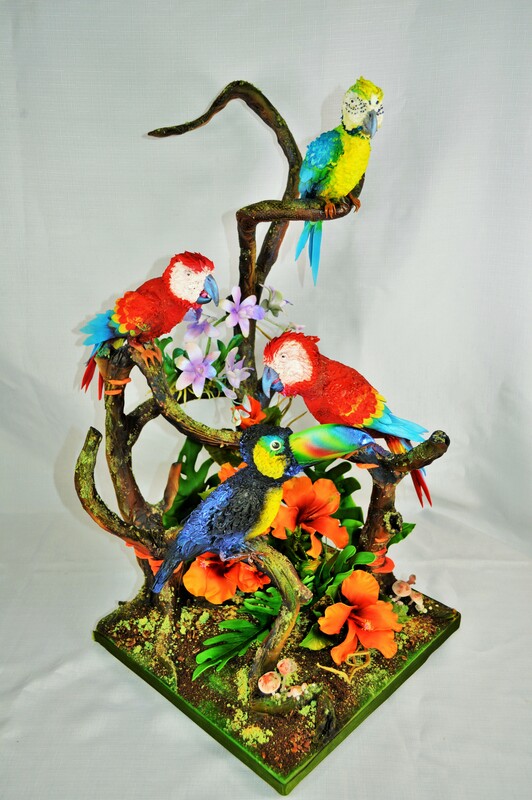 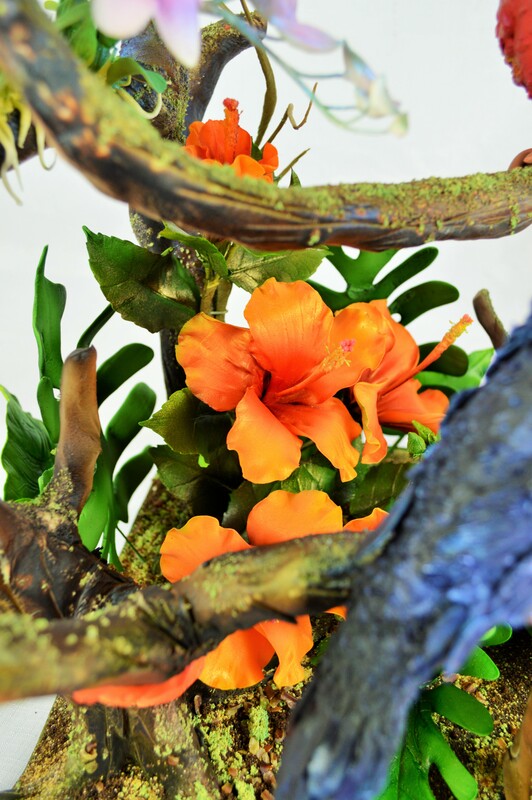 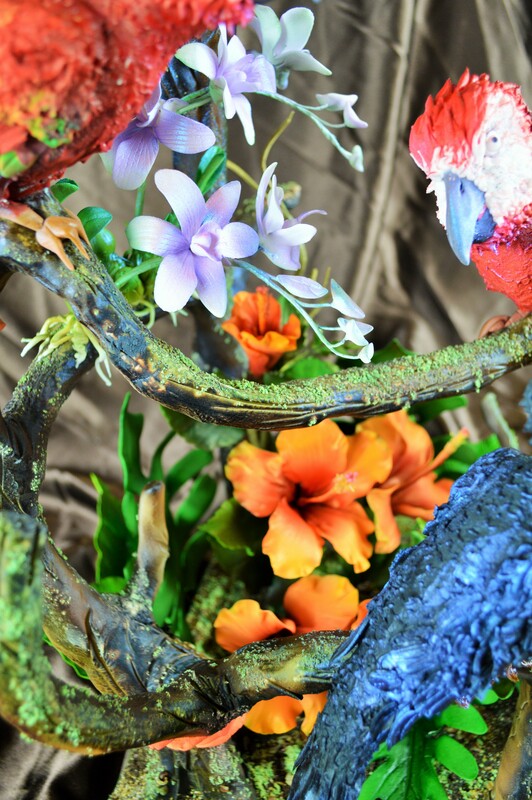 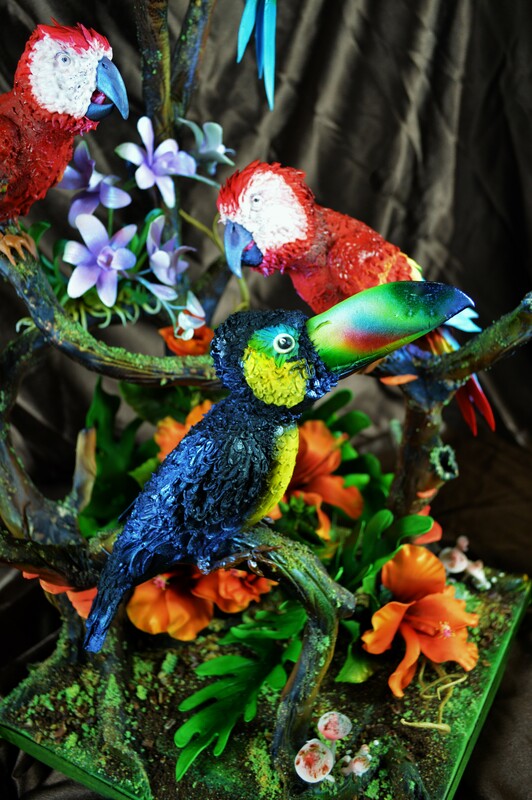 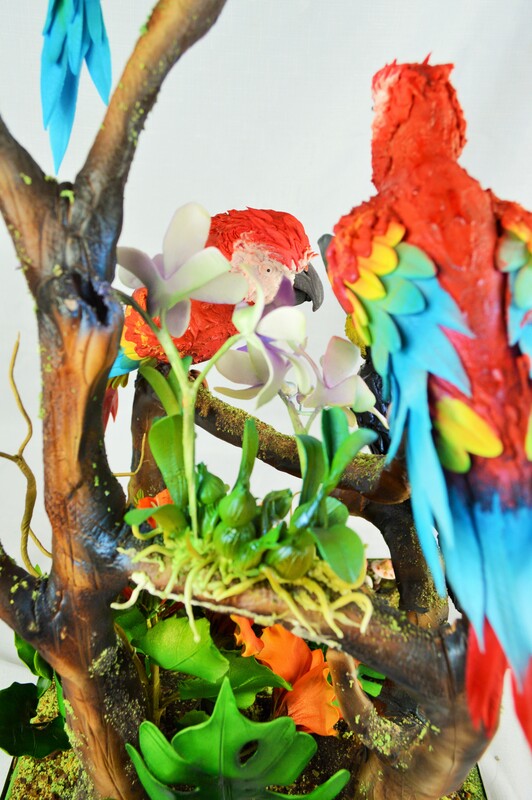 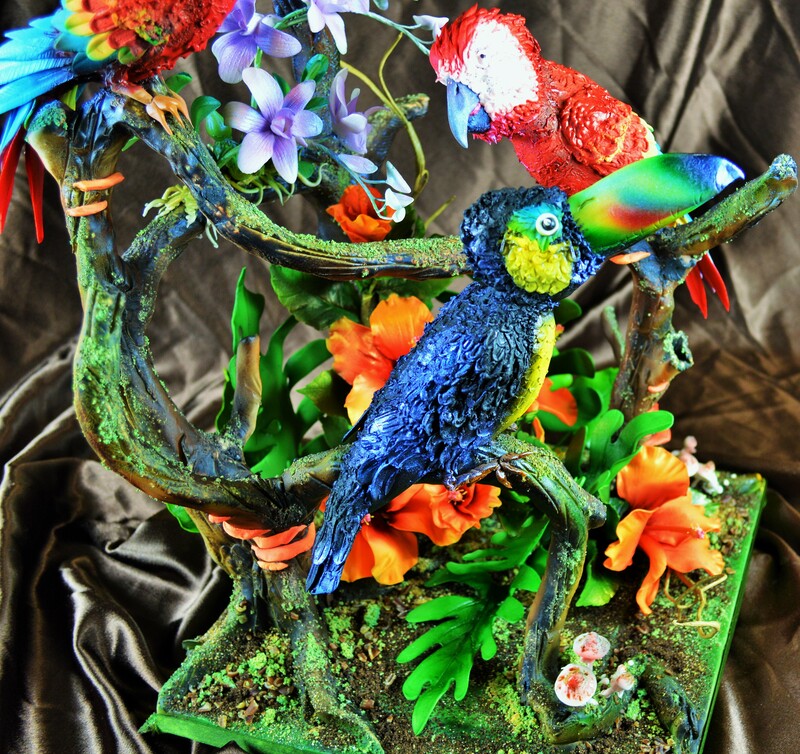 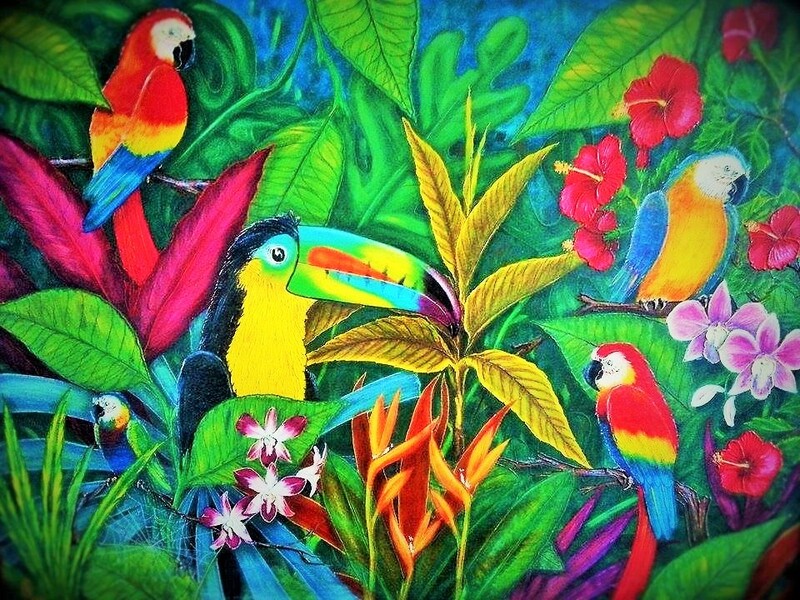 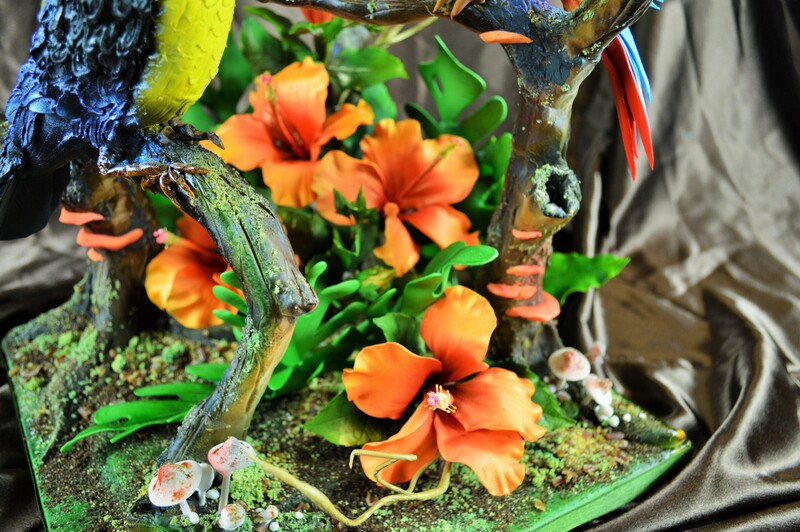 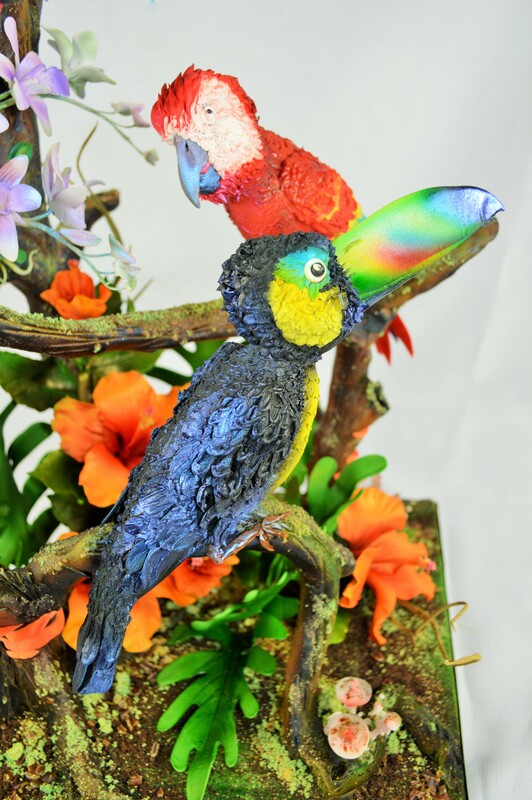 I was invited to be a guest demonstrator and here is one of the display pieces I recreated from chocolate and sugar, Tropical Birds of the Rainforest – inspired by a painting which I recreated a while ago called ‘Friends In High Places’ originally inspired by a painting from Renee Le Compte – Parrots of the World. 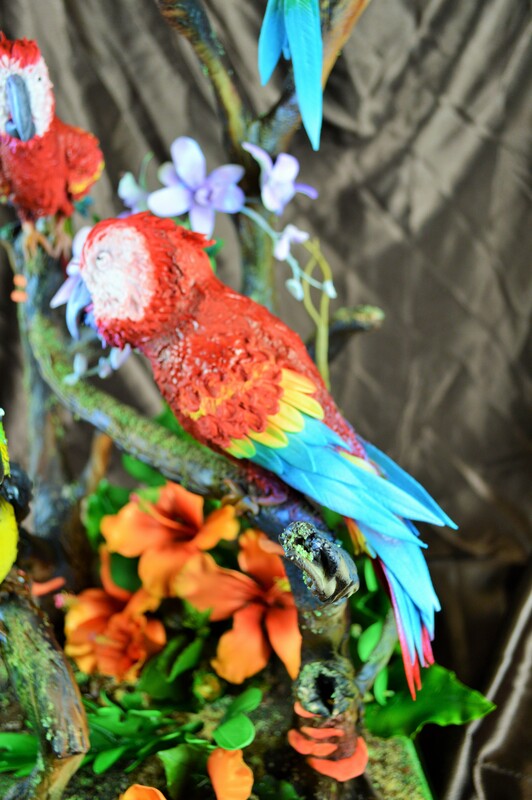 What a busy and enjoyable weekend. 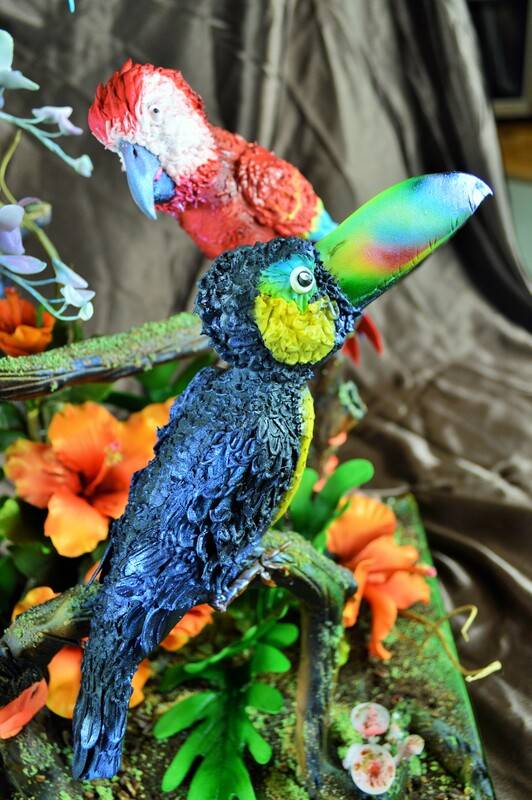 Black & White bling Cha Cha dancing heels with make up bag.